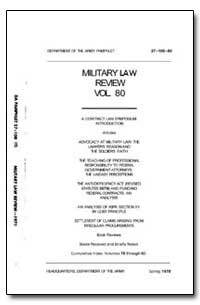 Description: About Professional Responsibility And Legalities. 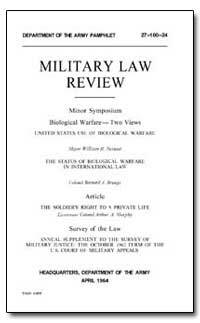 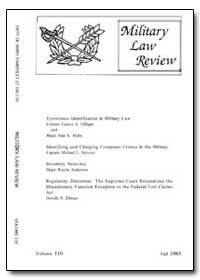 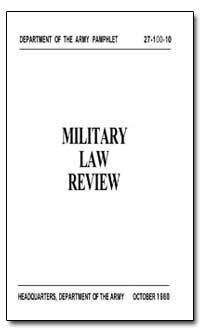 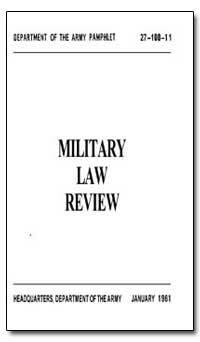 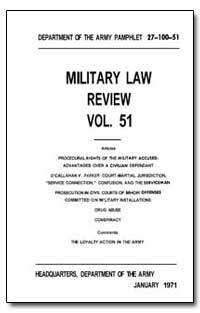 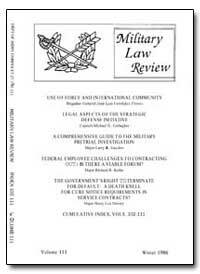 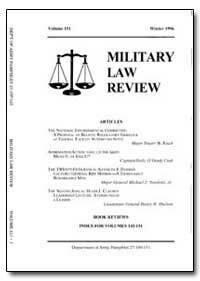 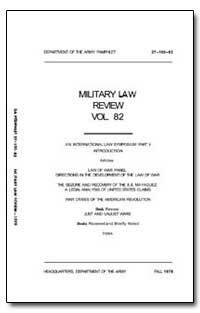 Excerpt: Directions in the Development of the Law Major General Walter D. Reed, USAF, Professor Telford Taylor, and Professor W. Thomas Mallison, panelists; Colonel Barney L. Brannen, Jr., introductory comments; of War? 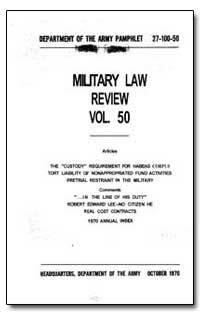 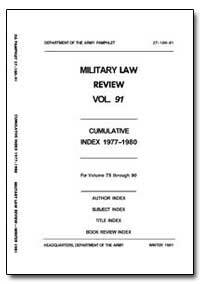 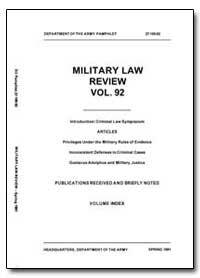 By: aptain John B. Jones Jr.
Excerpt: The author compares the military and civilian procedure at several stages in the criminal process; interrogation of suspects, pretrial investigation, discovery, speedy trial, right to counsel, witnesses, self-incrimination, deferment of confinement, appellate review, and concludes that military defendants have many advantages over civilians. 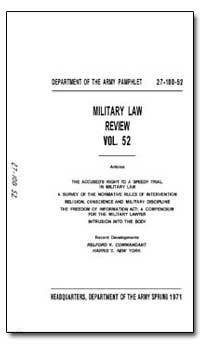 The charges of command influence often leveled at the military are examined in detail. 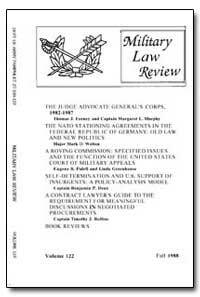 Excerpt: The Function Of Habeas Corpus. 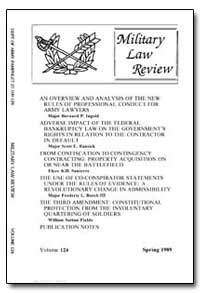 Habeas corpus, we have all been told, is a ?discretionary writ, extraordinary in nature, issued by a civil court to inquire into the legality of any restraint upon the body of a person.? 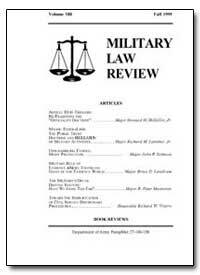 Historically, the writ served the function of affording the prisoner a judicial inquiry into the validity of his pretrial restraint. 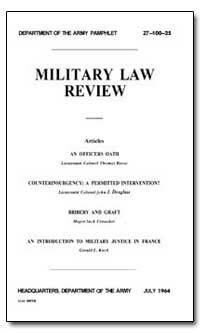 In 1830, the Supreme Court put it this way? 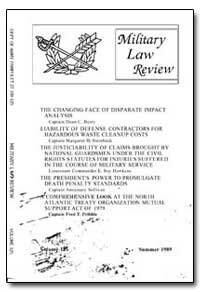 Description: Information about Major Percival D. Park. 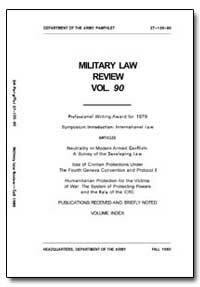 Description: Information about the Professional Writing Award for 1979. 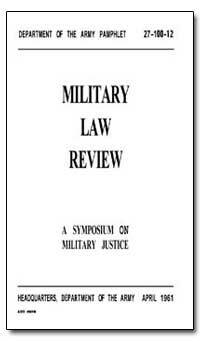 Description: About the Criminal Law Symposium.